39. 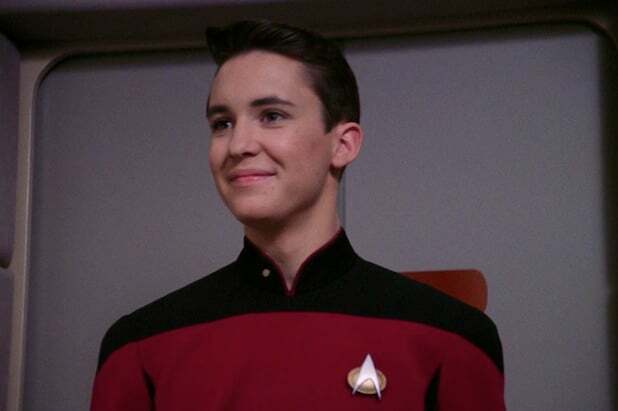 Wesley Crusher (The Next Generation) By far the most hated character in "Trek" history. A super-genius kid who would on more than one occasion save the Enterprise while others with infinitely more experience struggled. Even the man who played him, Wil Wheaton, hated him. 37. Hoshi Sato (Enterprise) ... a poor man's Uhura whose sole purpose was to serve as a translator for the crew since the technology for the Universal Translator hadn't been invented yet. Like many of the characters at the bottom of this list, Rick Berman and Brannon Braga were unable to flesh Sato out beyond her basic premise. 36. Neelix (Voyager) And now for the "Voyager" portion of our list, starting with the ship's mohawked chef. He never fit into the show's plots, leaving him to spout dumb food jokes and platitudes of optimism to the weary crew. 35. B'Elanna Torres (Voyager) Next we have the Human/Klingon hybrid lieutenant, whose entire personality too often boiled down to her being a hothead. In truth, she seemed to be designed as a mix of Worf and Tasha, but failed to even come close to being as memorable as either of them. 34. Chakotay (Voyager)Another character that the writers ran out of material for. 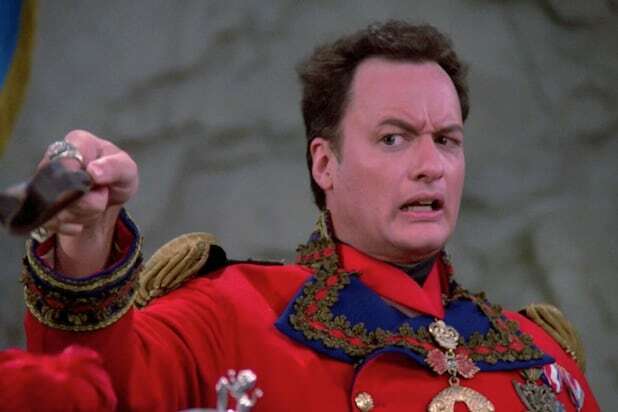 At best, Captain Janeway's right hand man was a dull character. At worst, the attempts to honor Gene Roddenberry's dedication to diversity by delving into Chakotay's Native American background came off as too stereotypical. 33. Tom Paris (Voyager) A slightly better character who had more defined relationships with other crew members, but many of the episodes that focused on him were just variations on him being the stereotypical hotshot pilot looking for a thrill. 32. Harry Kim (Voyager) His friendship with Paris and awkward conversations with Seven-of-Nine were enjoyable to watch, but other than that he tended to be just a stiff ensign who spouted technobabble. 31. Malcolm Reed (Enterprise) The inventor of the "red alert" system. Unlike Sato and Mayweather, Reed had a bit of a character arc as he spent his time on the Enterprise coming out of his shell, but this didn't result in Reed becoming much more than a generally affable but nondescript character. 30. Deanna Troi (TNG)Take a shot every time this Betazoid started a sentence with the words "I sense …" Troi spent several seasons in low-neckline outfits, serving as a counselor on a ship that rarely had any real conflict. Eventually, she was given a uniform like the others and allowed to play a role in missions, but only at a very late point in the series. 29. Jonathan Archer (Enterprise) When "Enterprise" started, Archer was an interesting captain. As Starfleet's first man in charge, he was bound to make mistakes, and viewers enjoying seeing how he got out of them. Unfortunately, the struggle got stale quick, as he became the "prototype" captain instead of developing into a leader in his own right. 28. T'Pol (Enterprise) Though Jolene Blalock's acting could sometimes be as ridiculous as her fanservice outfits, the first Vulcan Starfleet officer's slow embrace of her illogical humans was interesting to watch, as was her struggle to cope with a disease that dissolved control over her emotions. 27. Phlox (Enterprise) Armed with a massive grin and years of medical experience, NX-01's Denobulan doctor is what Neelix could have been, providing both regular humor and the basis for episodes that explored his values and relationship with a human race still getting used to interacting with aliens. 26. Jadzia Dax (Deep Space Nine) An interesting blend of previous personalities. Over the course of six seasons, Dax showed Worf's intensity, Kirk's swagger, and Spock's curiosity. Part of this is due to the fact that she's bonded with a symbiont that has the memories of countless past lives. It's also due to inconsistent writing, particularly after she hooked up with Worf in Season 4. 25. Quark (DS9) The Ferengi started as the Alpha Quadrant's amoral mafia, but DS9 began to show their capacity for courage and compassion, though they would be loath to admit it. In spite of his insistence that he's nothing but a cowardly smuggler -- and he can be that -- Quark proves to be a valuable ally to Sisko when the chips are down. 24. Tasha Yar (TNG) Oh, where to start with Tasha. She was a rather polarizing figure, with some people appreciating her status as a more involved woman on the bridge, while others thought she was rather obnoxious. She was killed off near the end of season 1, but was brought back in the episode "Yesterday's Enterprise," which was praised for showing Tasha's true potential as a character while giving her a better send-off. 23. Tuvok (Voyager) This is where the characters really get good, starting with the Voyager's resident Vulcan. Tim Russ proved to be a worthy successor to Leonard Nimoy, portraying Tuvok as a loyal friend to Janeway and a Vulcan with a dark side beneath all the discipline and repressed emotions. 21. Pavel Chekov (Star Trek)Several members of the original Enterprise crew were not fleshed out on paper, but became beloved thanks to brilliant acting and natural chemistry between the cast. Take Chekov, who became a fan favorite because of his loyalty to Mother Russia as well as the blood samples he was constantly asked to provide. 20. Nyota Uhura (Trek)Though she was vastly underutilized, Uhura's presence on the Enterprise was a big step forward for African-American women in television. After being skipped on the chain of command for years, Uhura finally got to take charge of the Enterprise during a rescue mission in the animated series. 19. Hikaru Sulu (Trek) Like Chekhov's Walt Koenig and Uhura's Nichelle Nichols, the two-dimensional Sulu became legendary thanks to George Takei. For a long time, Sulu was known for being a cultured gentleman and a bare-chested fencer, but he got his big moment in the movie "Star Trek VI" as captain of the Excelsior. 18. Seven of Nine (Voyager) Like Uhura, Troi, and T'Pol, Seven of Nine was the fanservice character of her series, but her introduction to "Voyager" is an episode for the ages. As a former Borg unit brought to Janeway's side, Seven continued the tradition of rounding out alien races that were once bitter Federation enemies by showing just why someone would want to be assimilated. 17. Miles O'Brien (TNG/DS9)Midway through "TNG," the writers realized there was value in fleshing out the Chekovs in their cast. Miles started as a seen-but-rarely-heard recurring character who eventually became a star on "DS9" thanks to episodes that transformed him into Starfleet's quintessential everyman. 16. Charles "Trip" Tucker III (Enterprise)Perhaps Trip's ranked too high, but let's throw "Enterprise" a bone. He was the most interesting character on the show, serving as a right hand man to Archer, a lover to T'Pol, a fighter, a scholar, and ultimately, a martyr to the Federation. 15. Julian Bashir (DS9)One of the more strongly-defined character arcs in the "Trek" canon. Bashir started the series as a cocky but inexperienced crew member who eventually developed into a mature member of the crew as the Dominion War raged on. 14. Beverly Crusher (TNG)Unlike her son, Dr. Crusher was a popular "TNG" cast member. Not only was she a compassionate medic, she was a capable fighter and leader who even got to take command of the bridge on a couple of occasions. 13. Kathryn Janeway (Voyager) The Voyager's captain has become the basis for much debate among Trekkies. In addition to her character swinging from mother figure to ruthless general depending on the writer, Janeway threw away the Federation rulebook in ways that even Kirk would be shocked by as she tried to guide the Voyager back home. Say what you will, but Janeway is an interesting figure in the "Trek" canon, which is why she's ranked so high. 12. Montgomery "Scotty" Scott (Trek) The miracle worker of the Enterprise treated his ship like a beloved daughter. Whether it was attacked by Romulans or Tribbles, Scotty would always make sure that his beloved ship would make it out in one piece. Unfortunately, as the new movie "Star Trek Beyond" shows, Scotty's counterpart in the reboot universe can't say the same about his Enterprise. 11. Geordi La Forge (TNG)The Enterprise-D's sweet engineer would often insist that some engineering marvel that would save the day is impossible, only to do it in minutes when pressed. His finest moments as a character came when he helped Data learn how to be more human, often to mixed results. 10. Kira Nerys (DS9)While "Trek" tackled many philosophical topics, religion was not one of them for a long time. Kira changed that, along with many other things. A firm believer in the Prophets and in terror tactics, Kira's tough past on Bajor caused her to lock horns with the lofty ideals of the Federation members she had to work with on DS9. 9. Worf (TNG/DS9) The Klingon lieutenant started the trend of turning enemies from past series into complex characters who became vital Starfleet crew members despite cultural differences. 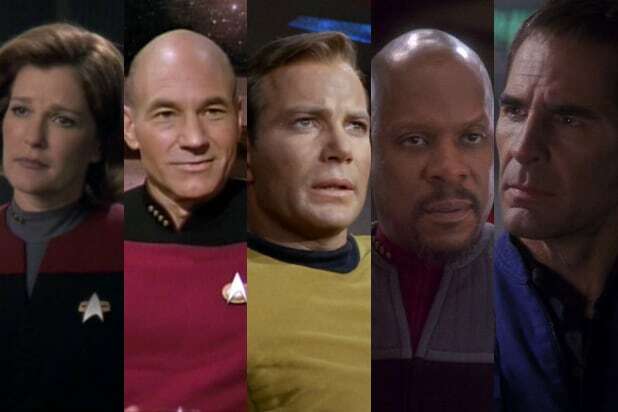 Worf has had more appearances and story arcs than almost any other "Trek" character, including rising through Starfleet's ranks, joining the DS9 crew, becoming a father, and preventing a civil war on his homeworld. 8. Odo (DS9) One of the most powerful twists for any "Trek" character came in "DS9," when Odo discovered that he was a member of the race that leads the Dominion. Sisko's number one was forced to choose a side: his race or the people they wished to exterminate. In the end, there's only one reason he stays with the Federation: his deep love for Kira. 7. Benjamin Sisko (DS9)Commander of Deep Space Nine, Captain of the Defiant, and one of the most conflicted characters in "Trek" history. Sisko proved to be a truly fearsome captain, but gained that reputation through brutal actions that compromised his ideals. His internal conflict was a driving component behind DS9's deconstruction of Gene Roddenberry's utopia through war and racial conflict. 6. Leonard "Bones" McCoy (Trek) While he wasn't as fleshed out as Kirk or Spock, Bones didn't need to be. DeForest Kelley's sardonic delivery worked perfectly with both the Captain and the Vulcan, as he served as the voice of reason to keep them both level. 5. William Riker (TNG)Number One started out as a rehash of Kirk, right down to the cocky smirk. Then came the beard, and with it a fierce sense of duty and undying loyalty to Picard. Both were put to the ultimate test in "Best of Both Worlds," when he uttered the words that became one of the most famous cliffhangers in TV history: "Mr. Worf ... FIRE." 4. Data (TNG)The funniest and most thought-provoking supporting crew member ever. Data's overly analytical approach to human minutae made him a charming android, and his status as a sentient A.I. gave birth to "Measure of a Man," one of the franchise's most important contributions to sci-fi. 3. James T. Kirk (Trek)The original captain, whose appeal hasn't waned in the slightest over the past five decades. Kirk is the perfect mix of geek and space cowboy, serving as a sort of John Wayne figure for the sci-fi crowd. 2. Spock (Trek)"Trek" has built its legacy on alien outsiders making observations about the human race. That began with Spock, whose Vulcan blood put him outside of our species while his human blood kept him tethered to it. From his pointy ears came endless ruminations on the nature of humanity and whether we will overcome our differences and reach the stars together. 1. Jean-Luc Picard ("TNG") Yep, we're planting our flag firmly in the Frenchman's territory when it comes to the "Best Captain" debate. If Spock began the "Trek" philosophizing, Picard perfected it. He is a diplomat and a scholar, and remains so despite suffering torture and countless near-death situations. He is the embodiment of the intellect-over-brutality ideal that "Star Trek" built its legacy on.